According to a recent threat report, the largest growth area for targeted attacks was businesses with fewer than 250 employees. 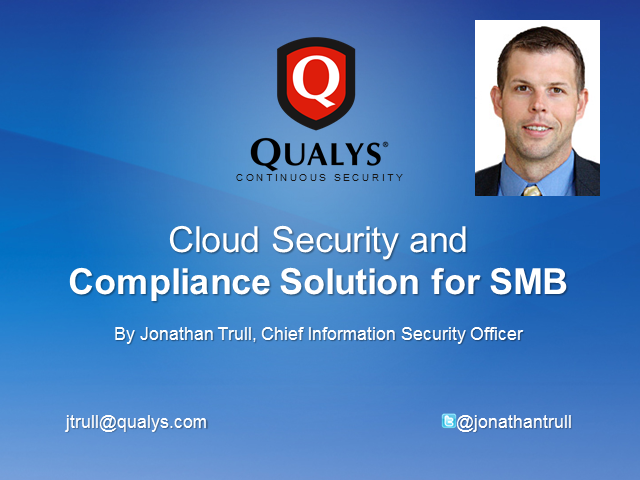 Typically SMBs are extremely resource constrained and just like large enterprises, SMBs also face a myriad of regulations that they must comply such as HIPAA and PCI. Rick Holland, ‎Principal Analyst, Forrester Research and Jonathan Trull CISO Qualys, Inc. Presented by: Rick Holland, ‎Principal Analyst, Forrester Research and Jonathan Trull CISO Qualys, Inc.